Foods that include synthetic vitamins and minerals as ingredients are not as healthy as foods with real ingredients. One example of a store bought food that has synthetic ingredients is organic rice milk. An ideal option if you want a healthier alternative is to make your own homemade rice milk. Eating any foods that have enriched ingredients is not the best option for a healthy diet. The homemade rice milk you can make using store bought rice is a better solution. There is also a major cost savings if you make your own at home instead of using a store bought product. 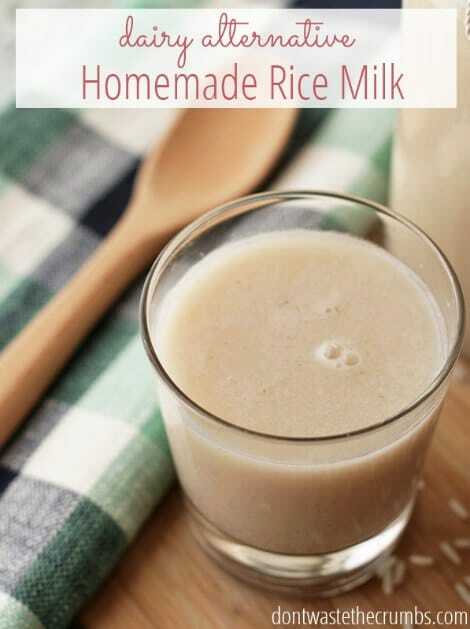 Homemade rice milk is a great alternative to any dairy product. You can use uncooked rice or a cooked rice based on the option you prefer. The best part of a homemade alternative to store bought products is there are no synthetic vitamins or minerals that are found in the final product.